This hardly makes the rocketing sexual assault statistics and myriad gross scandals surrounding military women and the officers who tape them in the shower any less disheartening, but it's a start? 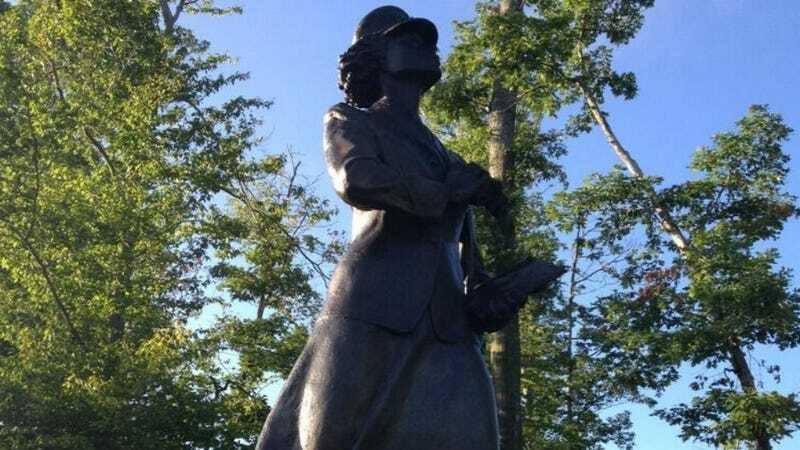 A replica of the famous Molly Marine statue, erected during World War II and modeled physically after a female Marine who served, was placed in the National Museum of the Marine Corps yesterday. It took a $50,000 collaborative effort from the Young Marines and the Women's Marines Association to raise the money for the statue. Guest of honor Major General Angela Salinas made the dedication to all female Marines, which was fitting because she broke a lot of barriers for women cadets of the future: among other firsts in her 39 years served, she was the first woman to be named the head of a recruit depot and the most senior Hispanic Marine in the Corps, male or female. It was Salinas's final day of service, and she was glad to leave on such a high note.